Captivate your guests as you walk down the aisle in this stunning two tier cathedral veil featuring a scallop beaded edge. 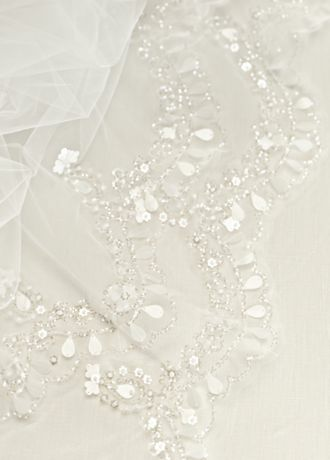 Intricate beading along a scallop edge lavishly enhances this two tier cathedral veil. Bottom Tier measures approximately 90" long.